From the outset, the Internet Archive might not sound like the most interesting place on the web. After all, considering pretty much everything on the internet seems to be permanent (especially when you tweet something that loses you your job), why would you need an entire website just for archiving? Well, the non-profit website is actually creating a self-described “digital library” by archiving everything from books to television and even music in order to keep them from being lost to time. 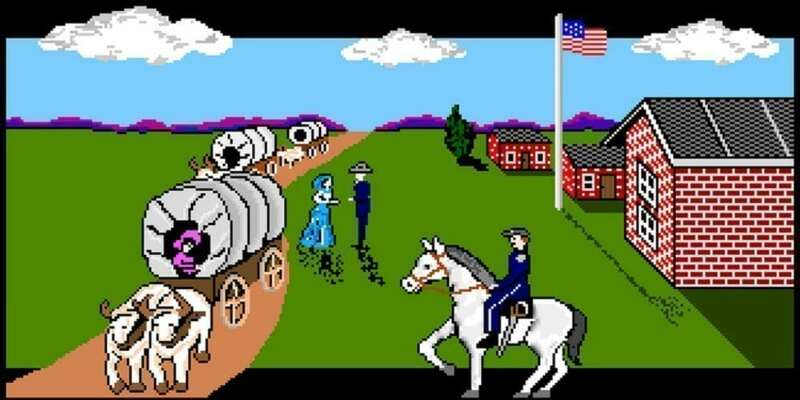 Outside of housing everything from public domain movies to concert recordings, the Internet Archive is also a total treasure trove of retro games. And, yes, I spent more time than I’d like to admit playing said games instead of actually writing this article. One of the most eye-catching parts of this wonderful website is the large amount of MS-DOS games available. Oregon Trail, Prince of Persia, and Carmen Sandiego are the obvious standouts, with literally thousands of other options at the click of a button. Plus, they have Mario’s Game Gallery, which many may not recognize as the first official game to feature Charles Martinet as the iconic voice of Mario. Yep. I need to get out more. And the nostalgia train doesn’t stop there. In fact, the website recently released a large number of LCD handheld games onto the platform. In case you don’t remember, those were the cheap plastic handheld consoles that grandparents would give as gifts instead of a Game Boy. However, there is definitely still plenty of fun to be had, especially when replaying simplified versions of classics such as Sonic the Hedgehog or Pac-Man. You can even emulate using a Tamagotchi, in case you wanted to re-experience the first time you were given the responsibility of taking care of a living thing and failing. While the world wide web has no shortage of gaming options, it’s great to have the ability to play some more obscure titles from the past. The internet has also provided online game stores that sell these types of retro video games. If nothing else, playing stripped-down versions of games like Donkey Kong will, at the very least, help you appreciate how far gaming has evolved over the years. These days, gaming has gone far beyond what was conceivable in the 80s and 90s, with high-quality triple-A titles given the utmost amount of care. Well, as long as they aren’t released by EA, that is. Previous article How Long Does It Take & How Do You Improve Your Credit Score? Console vs PC Gaming Chairs: Which Should You Choose?